January 2019 – Resolution Festival 2019 at the Place! In midst of rehearsals for Resolution Festival 2019!! Very excited to be part of the festival with Ben &Fred’s “The Juggling of Physics”. We will perform in a triple bill alongside works by Vendetta Vain and Elliot Minogue-Stone. 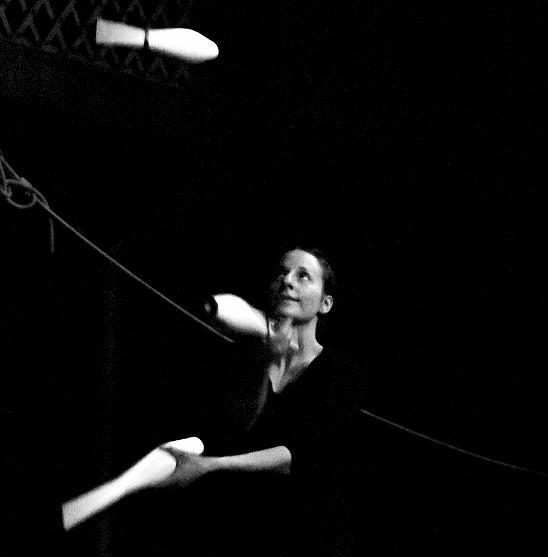 Ben and I performed our new duet ‘The Juggling of Science’ for the first time as part of TILTED Circus Scratch at Jacksons Lane Theatre in London Highgate. It was such a great night and we’re excited to continue working on the routine for Resolution Festival in January. Home from the Edinburgh Fringe Festival 2018 for Gandini Juggling and their Rock’n Roll Show ‘8 Songs’. Very happy to have had the opportunity to be there for the whole month. June 2018 – New website! And Back in Clarence Mews! Ben and I have started our Month of Making residency at Space Clarence Mews to further work on the Juggling of Physics duet. Looking forward to the showing in mid July!